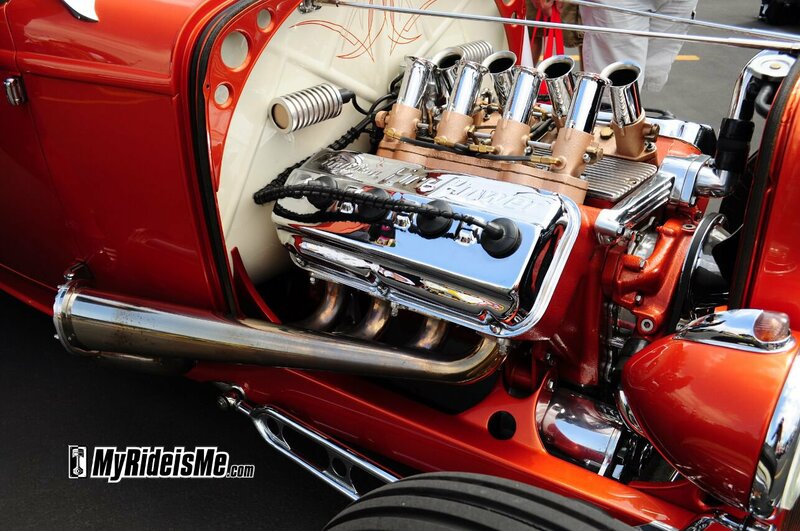 Hot Rod Hemi’s, Flatheads and Bangers – Take Your Pick! 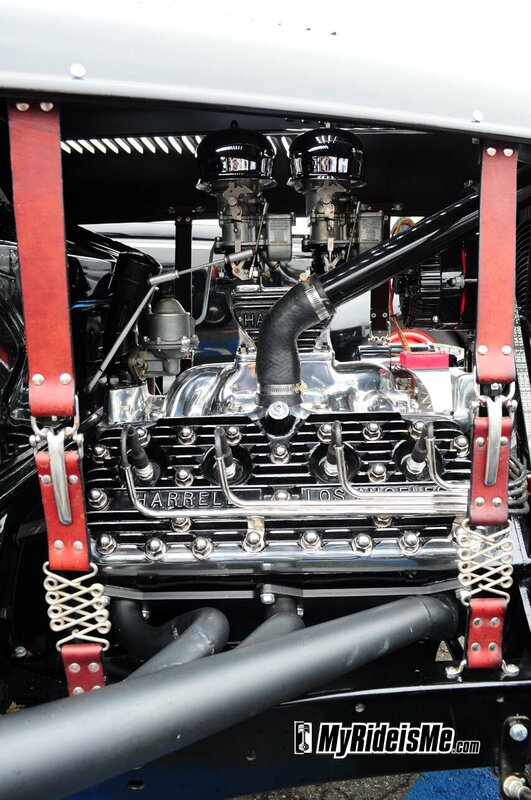 #1 Overhead Valve Conversion Banger Ford Flathead in a Slick looking Slingshot. 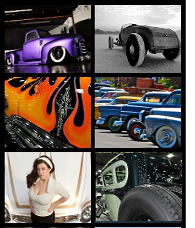 We tried this at the 2010 LA Roadster Show and it’s been a great story with interesting feedback. So why not try it again? Everyone’s got their own style and as you can see from the engines I picked out, I trend towards nostalgic, blown, FAST looking engines. How about you? Take a look at these and choose which one your favorite! Hit the “Like” button above and call it out by number. 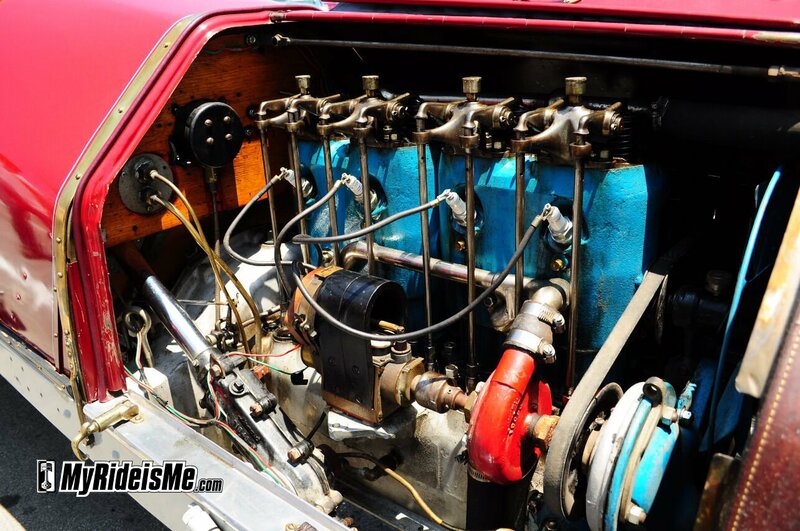 Or, if this is your car or you happen to be an expert on early Hemi’s or overhead valve conversion flathead motors, then let us know what we’re looking at. I hope I caught something to your liking! 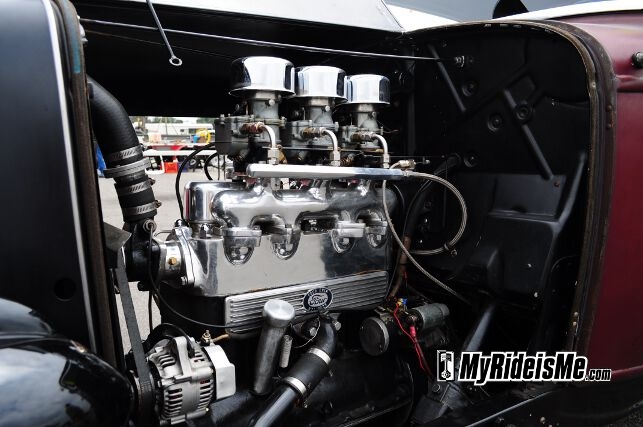 #2 Another well executed Ford “Banger” Flathead – Think there’s enough carburetion? #5 My buddy Jim from the Throttle Kings has been fine tuning his hot rod pickup for several years now and showed very well in the 2011 GNRS Suede Palace. 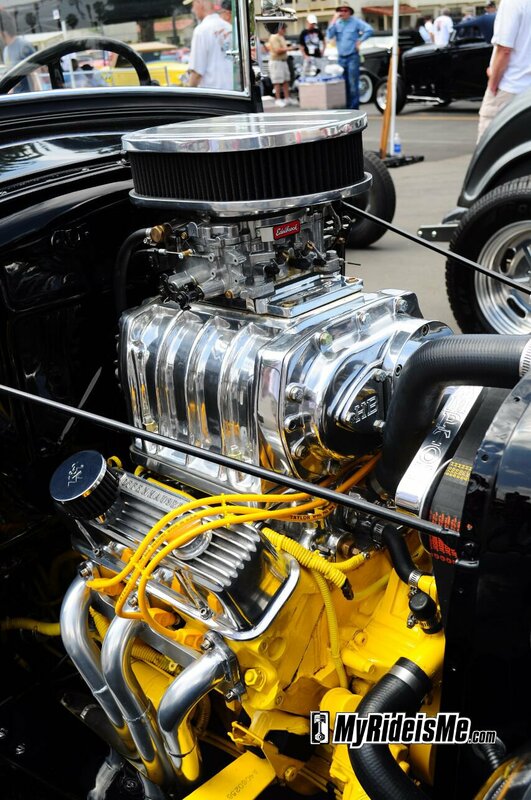 From here, we have to slip in the common, but tried, true and high performance small block Chevy. #6 It’s the details around the engine that make it. 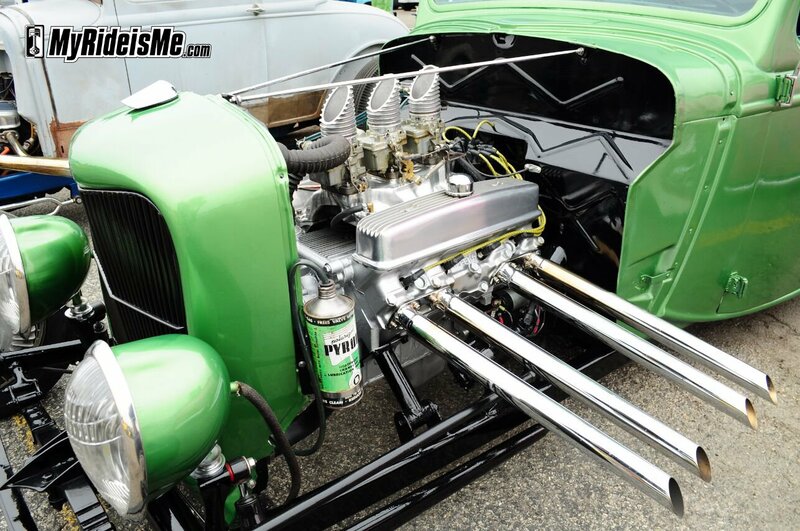 I bet those pipes sound wicked! #7 Loved the pinstriping and the engine turning work on the firewall. 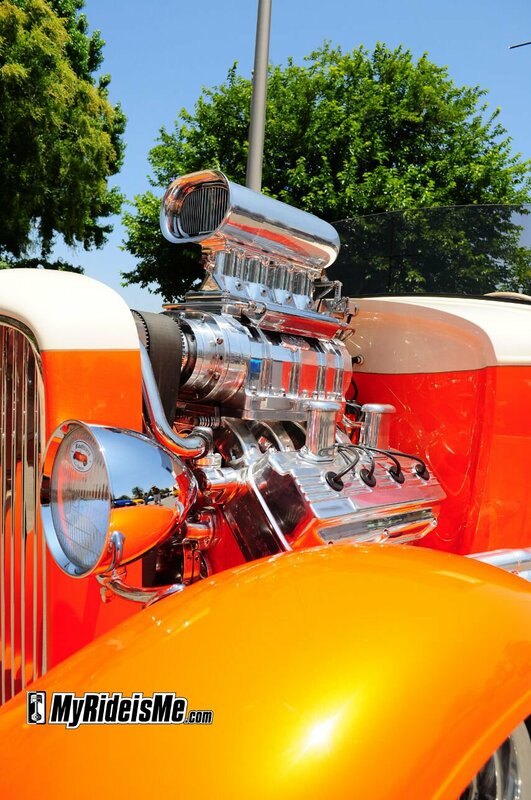 Classic and built for speed! 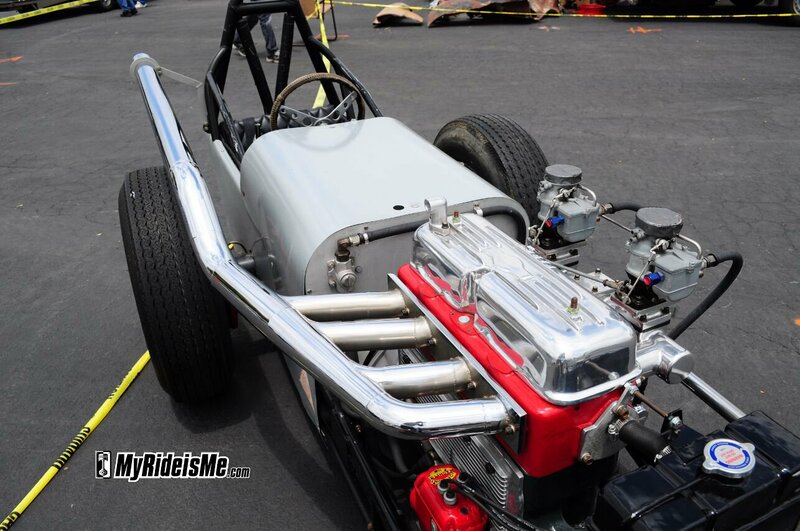 #8 Another great twist on the small block Chevy is the side draft weber induction. #9 You see these all the time. I shoulda wrote down some info for you, but the WWI and WWII folks probably know this one. 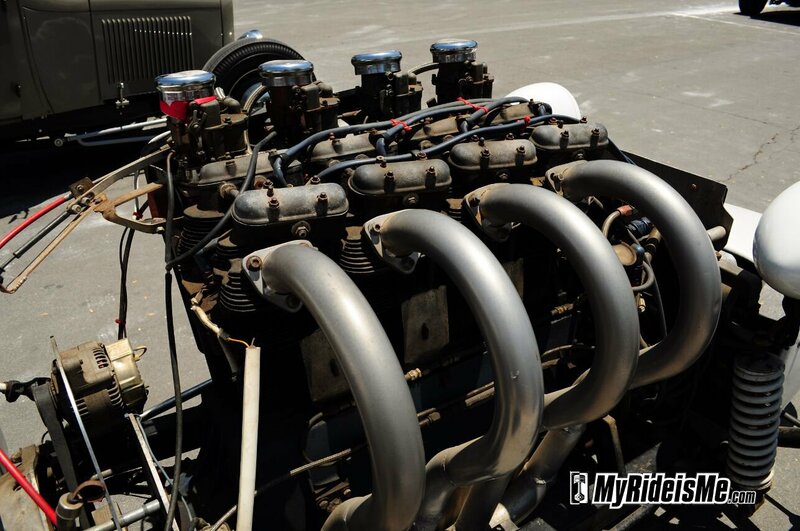 It’s a vintage airplane engine turned backwards that looked like an 8 cylinder, but it was only a four. The guy drove it to the show! #10 With the valves, spings and rockers all exposed, I sure this old Buick Roadster didn’t use any oil. #11 Look closely. This is cool. Wish I coulda heard it running. And now, it’s time for the HEMI’s! 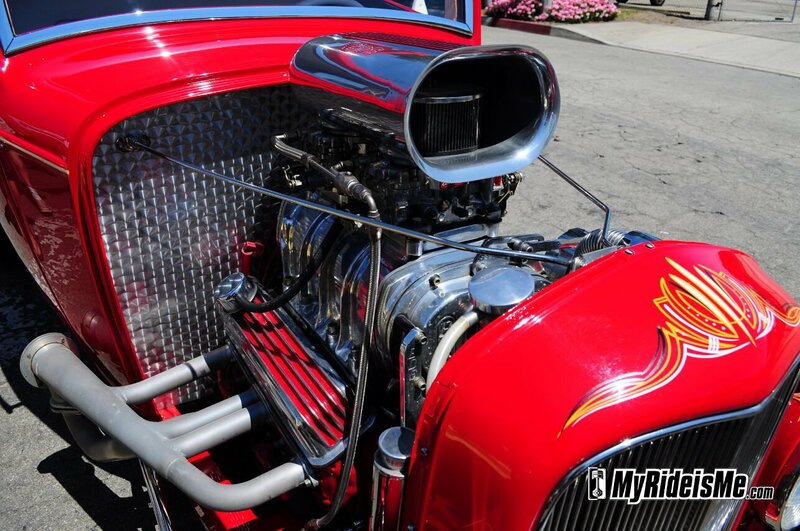 #12 It’s almost unfair to include a Hollywood Hot Rods built motor in a “best of” list. 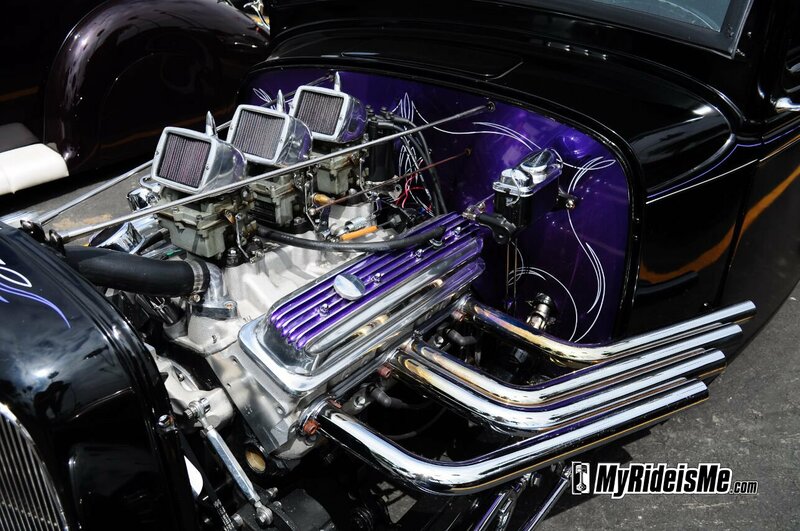 Getting the most Hemi power requires custom, hidden electronics fuel injection, 2 coils and practically no exposed wires. This is the benchmark. 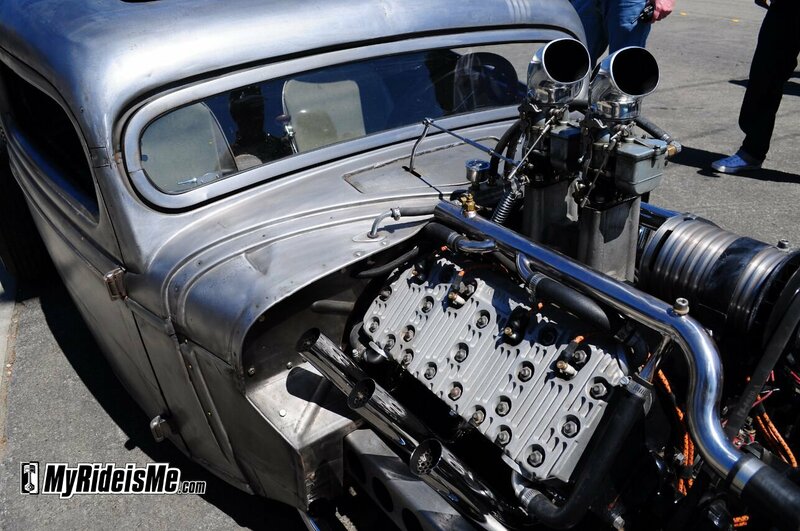 #13 Just so you don’t think I’m totally adverse to billet, I give you this blown Hemi example. I heard this beast running and the surge and growl it made idling down the street turned every head. If you don’t love that, check for a pulse. 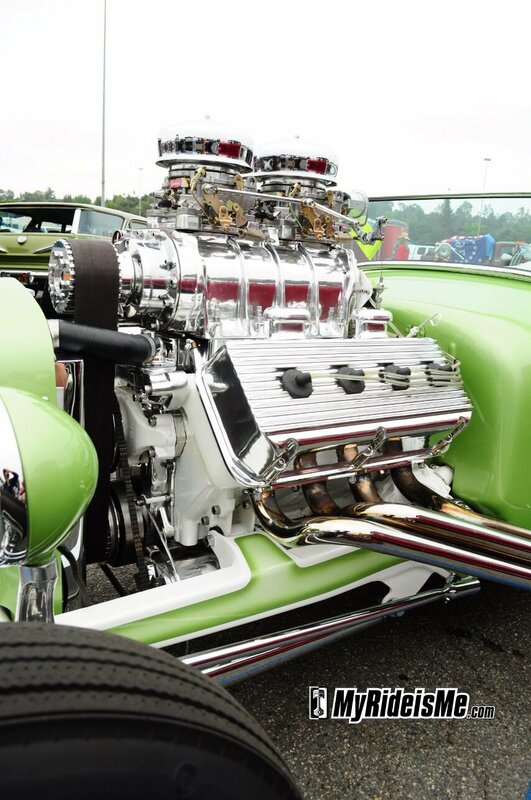 #14 Another fine blown hemi example. You pretty much can’t go wrong! I got a crazy fisheye lens picture of this engine here. #15 Last but not least… Representing Desoto… another true classic including the six pack. Can you see how the engine’s been smoothed? 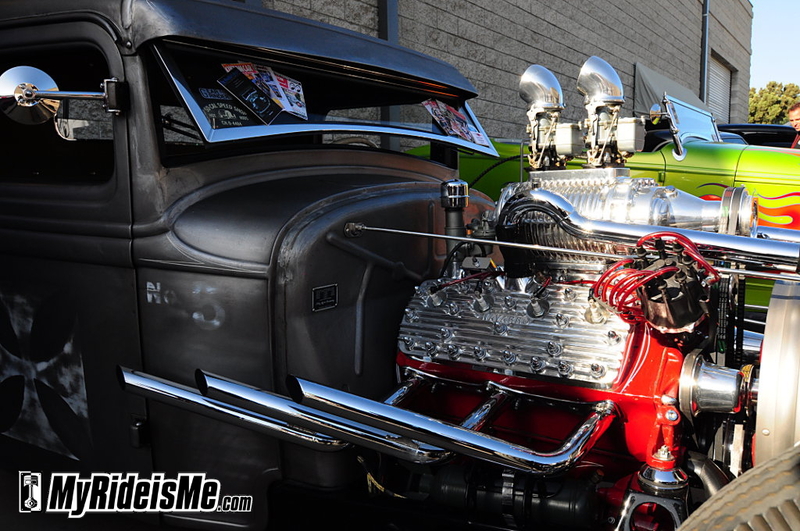 This was the coolest hot rod in Pomona for the LA Roadster Show. That’s it. 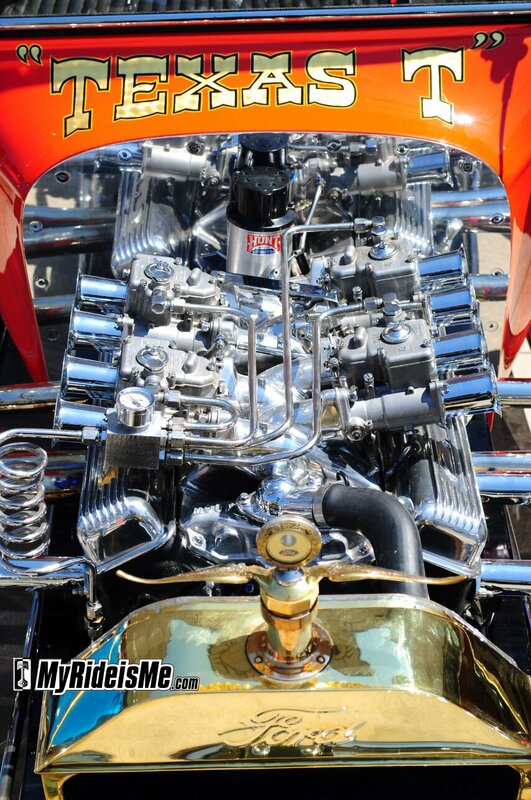 15 this year of the best looking, best detailed engines of the LA Roadster Show. Now’s your chance to say which is your favorite! 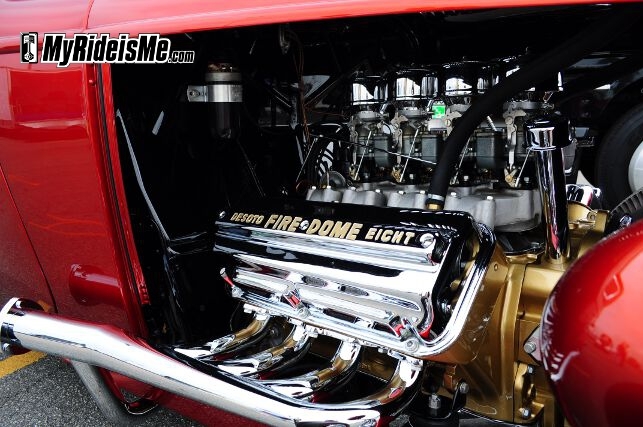 The aircraft engine was my favorite because its different, In the 50s a guy had an Allison aircraft engine powered dragster and of course I liked the Hemis. I only counted seven really good or great engines, and none of them were four bangers or V-6’s. Not to take away from what they are but great means great, not the middle of the road. Tough crowd! Lance, thanks for the comment. Please shoot your top 10 at the next show and send it over. I’m all for more 4’s and 6’s. Let’s see’m. SWEET RIDES everyone, keep up the great work.